KANSAS CITY, Mo. 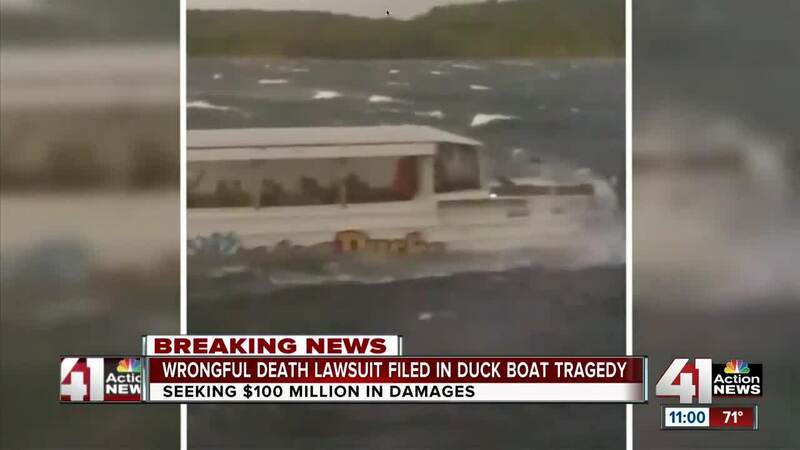 — A Philadelphia law firm has filed a lawsuit against Ripley Entertainment, Inc. on behalf of some members of the Indianapolis, Indiana family killed in a duck boat incident in Branson, Missouri. The Ride the Ducks Branson vehicle capsized and sank on July 19, amid strong storm winds and taking on too much water. Seventeen people died, including the driver of the boat and nine members of a family of 11 on vacation from Indianapolis. The victims’ ages ranged from just 1 year old to 76 years old. The lawsuit alleges wrongful death, outrageous conduct and negligence in the incident and seeks at least $100 million in damages. Attorney Gregory W. Alshire is representing John D. Coleman, the administrator of the estate for Ervin Coleman, killed in the incident, along with Lisa D. Berry and Marlo Rose Wells, who are the administrators of the estate for victim Maxwell Ly. According to the attorneys, the family sought them out because they represented clients in a 2010 duck boat sinking in Philadelphia resulting in two deaths. The lawsuit also says inspectors had warned the company the bilge pumps on the duck boats could fail in bad weather. The lawsuit claims that Ripley was looking into buying the operations of Ride The Ducks International in August 2017 and hired an inspector. Ride the Ducks’ president Robert McDowell responded by saying the company was pursuing a possible solution, but it required a “considerable feasibility evaluation, and thus expense.” The lawsuit claims McDowell admitted the great cost to make the recommended changes for safety was a sticking point. Additionally, attorneys point to the NTSB findings regarding canopies on duck boats after the 1999 Arkansas incident. Specifically, the NTSB found the canopies create a danger because they trap passengers inside if the duck boat sinks. Survivors say the captain also lowered plastic window coverings during the Table Rock Lake incident due to the poor weather. 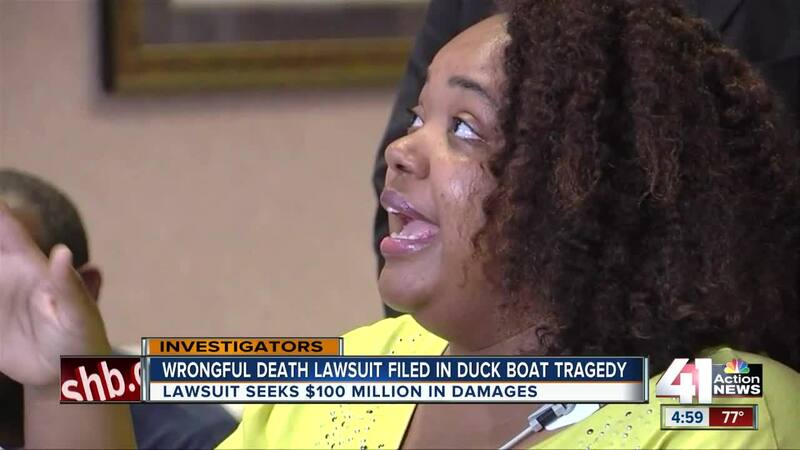 The attorneys say it left passengers no easy exit from the sinking duck boat. "Between the canopy which traps them and the windows which traps them, you are basically closing the coffin shut," said Robert Mongeluzzi, one of the attorneys representing the Coleman family. 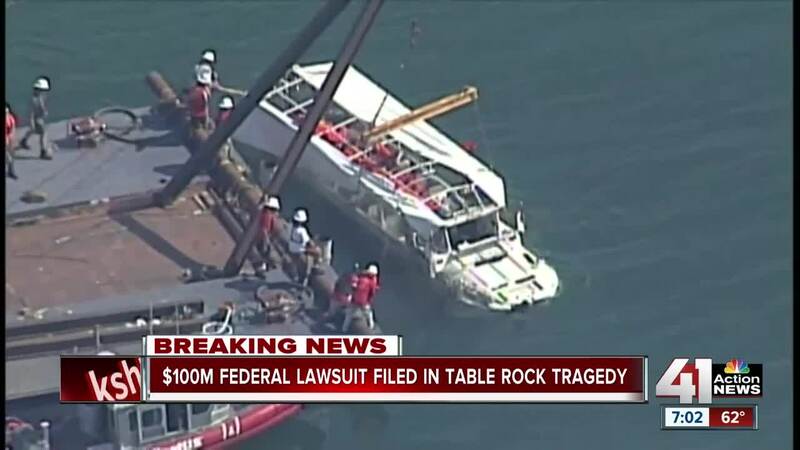 Survivors told attorneys some of them were able to escape the sinking duck boat by ripping a hole in the canopy. In a statement, a Ripley Entertainment spokeswoman said the company couldn't comment on the suit. "We remain deeply saddened by the tragic accident that occurred in Branson and we are supportive of the affected families. The investigation by the National Transportation Safety Board is still underway and no conclusions have been reached. We cannot comment at this time."